Badge week is the time you may purchase any certificates and badges that your child has been awarded. It is not a test week. What badges can my child receive? For non-swimmers & beginners there are badges designed by Springboard (Starfish,Seahorse,Turtle,Seal,Dolphin, Swordfish, Shark & 5 metre). These show a clear progression and the criteria for each badge are displayed on the notice board in Stanley Primary School. Intermediate and advanced swimmers there are awarded distance badges. The criteria is that a child must swim that distance with good technique and the swim is continuous and stress free. For badges ranging from 5 to 75 metres the distance should be covered with good technique using front & back crawl. For 100 metres and over, the distance is covered with good technique swimming 3 strokes front & back crawl as well as breaststroke. Badges for beginners are awarded by their tutors after continuous assessment during the term. For intermediate & advanced swimmers, distance badges are independently assessed by an examiner during assessment week, the dates for this will be given at the time of booking. We use an examiner as a means of quality control, ensuring everyone is working to the same standards and to ensure all awards are fair and not unduly harsh or lenient, both of which lead to problems for children and tutors alike in subsequent terms. These examiners are experienced tutors who are looking to help your child to succeed, rather than looking for reasons to fail them! My child tried hard - I am disappointed they did not get a badge. Like other sports, academic and music awards, badges are awarded for attainment and not effort. As such, an award is a statement that a child has reached a certain level and not in any way a reflection of their efforts. Every child who has worked hard should feel encouraged and praised whether they have reached the next level or not. It may help a child to understand it is unusual to receive a badge every term, particularly as they move up the pool and requirements and distances get progressively more difficult. Bear in mind that children will progress at different rates and it is not helpful to compare them. You can be confident that your child isprogressing at their optimum rate due to the low ratio of children to tutors and the calibre of our teaching staff. If your child is becoming discouraged seeing friends progressing at a faster rate, why not consider moving the day or time they swim so they don’t compare themselves unfavourably to others? If you are at any time concerned about your child’s progress, please do call the office so we can discuss this. My child hasn't had a badge for ages and is getting discouraged. It is a well documented fact that whilst learning to swim most children will at some time hit a ‘plateau’– that is they don’t make progress for a number of terms and sometimes become discouraged. Despite research in America and Australia, it is not known why this happens. If you feel your child is experiencing a plateau and you are concerned, please let us know at the office and we can look into this to see if there is anything specific that can be done to help speed up this process and get them progressing again. My child has been awarded a distance badge - is that as far as they can swim? Definitely not! It will specifically say on the badges that this is how far they can swim with good technique. This is not the same as how far they can keep going for. It is our belief that awarding badges on the basis of how far a child can keep going for favours the bigger, stronger child and gives no indication of their technique. Our badges show the point at which a child begins to tire and for children under 10, this is an indication of their technique much more than their stamina. The better a child’s technique, the less effort it takes to swim, the longer they can maintain their stroke. To do this, children practice over a short distance for a period of time. My friend’s children are getting badges from other swimming providers that show their children can swim 10 times as far as my child. This is very likely to be because the club is measuring how much stamina a child has and not how well they can swim. There are, unfortunately, no national clear guidelines on what basis to make awards even from national bodies and each club and pool is able to make their own guidelines as to what serves their purposes best. Comparing badges awarded from other clubs to Springboard’s is not comparing like with like. My child was stopped by their instructor/examiner whilst being tested for their badge, but I think they could have swam much farther. Examiners will stop a child when they notice signs of stress in their swimming. These may be too subtle for you to see from the side of the pool – things such as a head coming out of the water, body position not horizontal on the water, legs starting to drop, incorrect breathing. However, please be assured that examiners want your child to reach their maximum potential and are actively seeking to pass them rather than looking for reasons to fail them! Being skilled and experienced tutors themselves they know that passing a child before they can actually achieve a distance will lead to them being put in a group where they will struggle to keep up with the other children, and this is more discouraging for your child. Why don’t children in the shallow areas do more swimming in lanes to prepare for their badge? 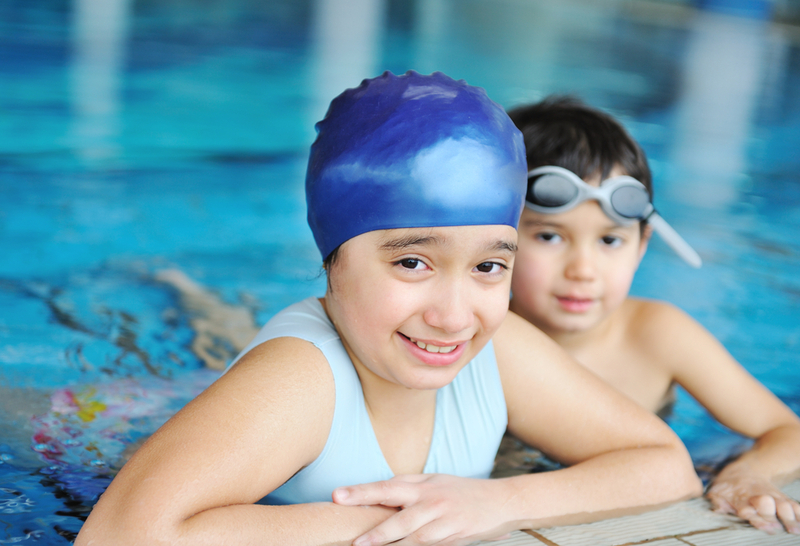 Our aim is to teach your child to swim well. If they are swimming in the shallow areas there are fundamentals not yet in place. Like any bad habit, the more you repeat it the more ingrained it becomes and the longer and harder it is to un-learn the habit. So it is with swimming. Before a child has fundamental techniques in place, pounding them up and down the pool will re-enforce the bad techniques and will have the opposite effect to helping them! There are no set guidelines as to how long a child will spend in each area. Please be assured that we will not keep your child in any group longer than they need to be. Whilst moving them up too quickly causes problems in that they find it difficult to keep up with the other children, leaving them behind in a group which they have outgrown is equally inappropriate and something we never knowingly do. If you are unsure as to whether this approach works as opposed to getting them to swim larger distances in lanes, you are very welcome to come along to any of our squad nights - you will see children of all ages swimming with beautiful technique. My child was not here when the distance badges were assessed – can they do it now? Because an examiner is not here we cannot offer a distance award this term. However it will not hold up their progress or affect whether they will move up a group next term as we will take their tutor’s recommendations instead. How much do I pay for badges and certificates? Each distance has a certificate and badge that come as a pair and cost £5 for both. If your child did not attain the next level, a report will be given, showing what they need to work on before we award the distance. I don’t want the badges and certificates. That is absolutely fine and we don’t want anyone to feel under any pressure to purchase them. We do not hand the certificates and badges to the children so you won’t feel any pressure to purchase these – we know how hard it can be to say no when your child has them in their hands! I do want my child to have the badges and certificates, but why do I have to pay for them? Shouldn’t that be included in the price of the swimming lessons? As a non-profit making organisation, our aim is to cover the costs of providing a high quality service. There are significant costs involved in preparing for badge week including the purchase of certificates, badges, folders & labels for each child; staff costs including the examiner and for the collection and collating of reports, organisation and selling. It is a huge undertaking! As with the cost of swimming lessons, we aim to cover costs rather than make a profit and have not raised the price in almost 4 years. To add the cost of badge week to your lesson fees would financially penalise those who do not receive a badge one term or do not wish to take awards home.